Since its establishment, Maisadou Tea & Café has been nurturing top talents for a consistent operation which maintains stable quality. If you are a person who seeks perfection, you are the one we are looking for. Maisadou will be providing ongoing training for our employees to help them master the skills required for the job. We look forward to working with friends from across industries to provide consumers with varied and competitive services. 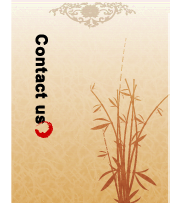 We always welcome you to join us in becoming allies of Maidasou Tea & Café. For efficient processing and speedy assessment of business proposals, please provide complete information. Thank you!